Chief Patrol Agent Rodolfo Karisch’s announcement came just hours after U.S. Customs and Border Protection Commissioner Kevin McAleenan said the agency had reached a “breaking point” and “is facing an unprecedented humanitarian crisis” along the U.S.-Mexico border during his visit to El Paso. Like the El Paso sector, Border Patrol agents in the Rio Grande Valley, the nation’s busiest sector in terms of apprehensions, are apprehending unprecedented numbers of migrants a day, mostly Central American families. 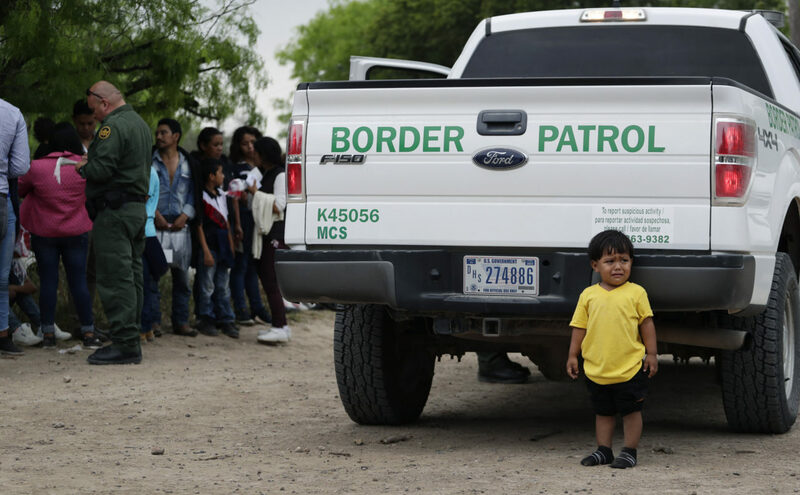 Agents in the Rio Grande Valley have apprehended 130,000 migrants since the start of this fiscal year and Karisch projected his sector will “easily” see 260,000 apprehensions by year’s end. This is almost double last year’s 162,000 apprehensions. On Tuesday, agents in the RGV sector apprehended more than 1,750 people, Karisch said, the highest one-day total since mid-2014, when CBP started tracking this local data. These large daily numbers have put Border Patrol on pace to apprehend more than 100,000 migrants this month alone along the southwest border, McAleenan said, the highest monthly number in more than a decade. Border Patrol began releasing asylum-seeking migrants apprehended in the Valley last week without detaining them because CBP officials said its facilities were at capacity and it announced Wednesday that agents in the Del Rio sector had begun doing the same, releasing them in Eagle Pass with notices to appear. Migrants are being released to nonprofit organizations like Catholic Charities of the Rio Grande Valley in McAllen and Good Neighbor Settlement House in Brownsville, but these agencies are overwhelmed by the surge in migrants crossing into the Valley. “At some point in time we may be forced to release them on the streets of Brownsville and McAllen because even they are at capacity right now,” Karisch said. The sector chief called on Congress to change U.S. laws that encourage illegal migration and have resulted in the release of migrants into the country with notices to appear in immigration court at a later date. “There’s a lot of fraud in the asylum process,” Karisch said, adding lawmakers should “look” at the Flores Settlement Agreement, which prohibits children from being detained by U.S. Immigration and Customs Enforcement for more than 20 days. He also cited CBP’s policy of having to release migrants after 72 hours, despite a recent Monitor-KRGV-TV survey of 100 migrants that found 81 were detained more than three days. “There are a number of people exploiting our immigration laws … and we’ve got to have the defense of a consequence being delivered for that criminal activity,” Karisch said. His call for policy changes comes as the sector prepares for the rescue season when temperatures rise during the summer months. The sector chief said “a good portion and percentage” of his agents are spending their shifts on hospital watch, transporting migrants to facilities and processing families rather than patrolling the border. On Wednesday, the CPB commissioner announced that 750 CBP officers will be temporarily reassigned from international bridges across the southwest border, including in the Rio Grande Valley, to El Paso to assist Border Patrol with processing, transporting and hospital watch duties involving detained migrants. “There will be impacts to traffic at the border … there will be wait times in our pedestrian and passenger vehicles lanes … this is required to help us manage our operation crisis,” McAleenan said. No extra assistance has been allocated for the RGV yet, but Kasich noted that agents from the northern border had already been moved to the Valley, but did not specify when this occurred.